Join the discussion on our forums! Come discuss Infested Tauren over in our dedicated Infested Tauren discussion topic. Deathrattle: Summon a 2/2 Slime. I was so sceptical about this card. I recently realized how 2 copies of it are great in N'zoth warrior. Getting 2 taunts from N'zoth is such a big deal, I'm glad I realized that. Might craft this guy golden to honor him for looking bad but being pretty good! Hard to believe that at one point the entire Hearthstone community was hellbent on shitting all over this card when it was first revealed. Now look at it... this card pops up in a lot of standard decks, especially in N'zoth themed decks. Not every card can be a Sludge Belcher. I called this one being good. No one wanted to actually look at the Standard Scene and what kind of desperate situation every deck would be in to find a way to fill holes. Infested Tauren is GOAT and a real hero. 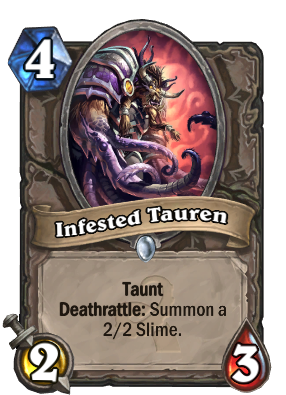 I run Infested Tauren mostly due to its interaction with N'Zoth, the Corruptor. 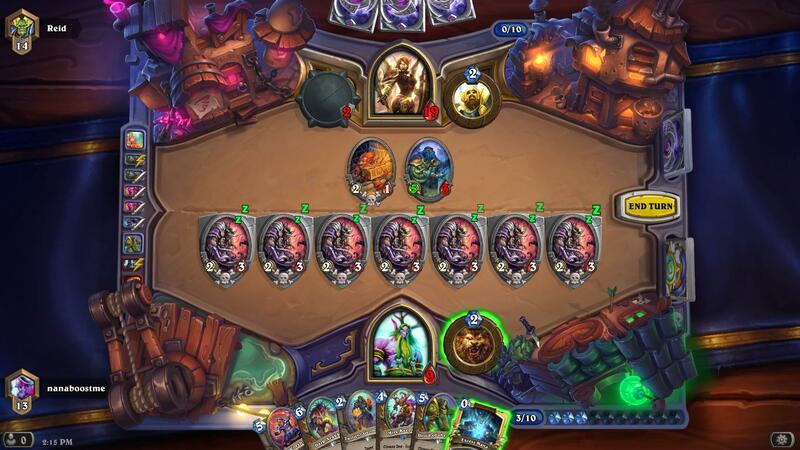 As playing N'Zoth takes up the entire turn, you are essentially defenseless the following turn. Since Sludge Belcher cannot be used in Standard format, the need for a card with Deathrattle AND Taunt was filled by card, being the closest thing to Sludge Belcher but Standard legal. Really wish the 2/2 Slime had Taunt too, but I'm not complaining. It gets the job done. Taurens are the masters of giving us bad Taunt minions. Bloodhoof Brave is another great taunt. Harvest Golem is just a better card. One more mana isn't worth the little bit extra stickiness, and you wouldn't play this for the taunt so unfortunately I don't think it's going to see much play. Surprisingly, it IS played for the taunt because of N'Zoth, the Corruptor. I know right? I was very surprised to see this card getting played. Still a simple 1 extra stat in health or something would have made this a much more useful card but that's a tough call considering it goes beyond Yeti stats (although both haunted creeper and kindly grandmother go beyond traditional stat distribution as well). If the Slime is a 1-move-kill , then this card's value is pretty good . 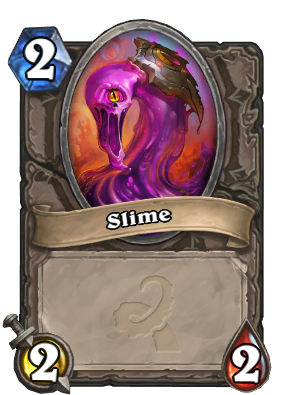 is there any chance the 2/2 slime is the same one from this weeks brawl the one with poison ? Do you guys think it can work in this kind of deck?